Strengthen your core using Pilates, Yoga, and Calsentics. This class builds strength and improves posture while toning the muscles of the core. Come prepared to sweat and feel the burn! Let's flow! this class is about moving your body with your breath. Your sure to get a full body, mind and spirit workout! Great all levels class. Yin Yoga is a slower paced style of yoga where postures are held for longer periods of time, usually ranging from 2-10 minutes. Yin postures target the deep connective tissues, fascia, tendons and joints in the body, increasing flexibility and range of motion. Yin Yoga is also designed to improve the flow of subtle energy in the meridian pathways of the body in a similar way to acupuncture. This improved flow of energy is known to improve organ health, immune function and emotional well-being. Yin classes often target the hips, pelvis and lower spine. Begin your day by centering your mind and body. Join us for morning Hot Yoga Flow and start your day off smiling. Mix sun salutations, balance poses, standing poses with strengthening poses and deep stretches. Early morning yoga is a great way to center yourself, listen to your body and set an intention. Focus on how you are feeling and then respond. Typically we are stiffer in the morning and so an early morning practice teaches us the most about our bodies. Students of all ages who have difficulty with movement, live with chronic pain or injury or want to get back into a healthy lifestyle. Enjoy this gentle class that incorporates movement and flow with the aid of a chair. No floor work. A class suitable for beginners or those working with injuries or conditions. 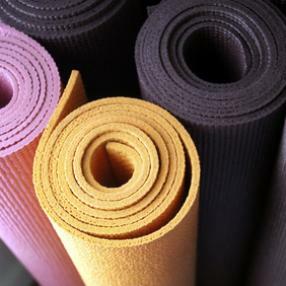 A gentle introduction to yoga that is only 1 hour. Pilates and Flow yoga combined. In infrared heat. It's time to stretch it out! This class is all about tuning into your body and breath. 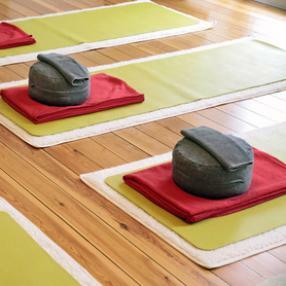 Enjoy a blissful, relaxing class of meditation and stretching! 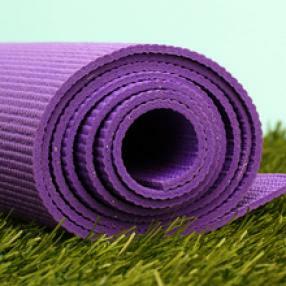 No physical workout here:) Great for injuries, beginners and those of you looking to BLISS OUT! Iyengar Yoga is suitable to new students and those with more experience. Poses to stretch and strengthen the body as well as to bring balance and alignment. A wonderful class to restore and rejuvenate the nervous system. Yoga poses modified with props for a class of total relaxation. Also, pranayama, mindful meditation, visualization to complete each class. Pure bliss, a great way to release stress. All levels, especially good for people with injuries, stressful lives, anxiety.